Wow! The stores are stocked with Halloween candy already! Last year I bought some ahead of time to be prepared, and “OOPS“, we ended up eating it and had to restock! So, this year I am waiting a little longer to stock up. However, I did buy a small amount of candy corn the other day so we could enjoy a little pre-Halloween treat! I’m trying to wait until October 1st to out my decorations, but it is so hard! In the meantime I bought some adorable Halloween themed clip art from Creative Clips by Krista Walden. I had fun using the clip art to make games for rounding and addition/subtraction. I am planning to use them next week with my elementary tutoring students! I hope they like them as much as I do! 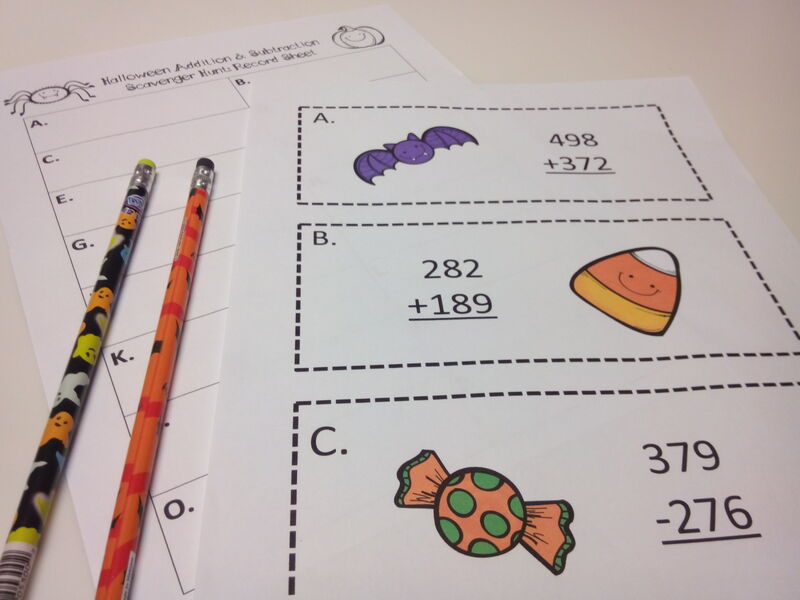 Here are some fun Math games I found online with Halloween themes!